With the temperature hovering at 5 degrees and a windchill of below 0, POSE crawls across the Merrimack River Bridge in Haverhill, MA. 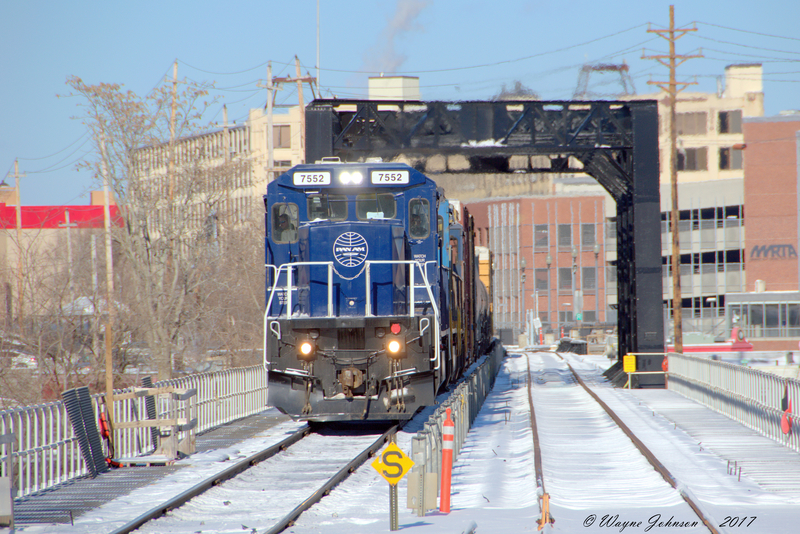 Still sporting a clean paint job, C40-8 #7552 leads two other GE's pulling a whopping 35 cars. Someday, the bridge project will be finished with both tracks back in service! Photographed by Wayne Johnson, December 28, 2017. Added to the photo archive by Wayne Johnson, December 28, 2017.